Objective: For individuals considering conducting a network meta-analysis (NMA), to gain familiarity in interpreting findings of NMA through of a GRADE Network meta analysis Summary of Finding (SoF) tables. GRADE centers and networks serve as the primary hub within the region for training, promotion, dissemination and implementation of GRADE. Through advocacy, training and support of guideline developers and review authors, GRADE centers and networks provide methodological support to national, regional or professional organizations and guideline development programs; and conduct workshops and graduate courses on GRADE application. 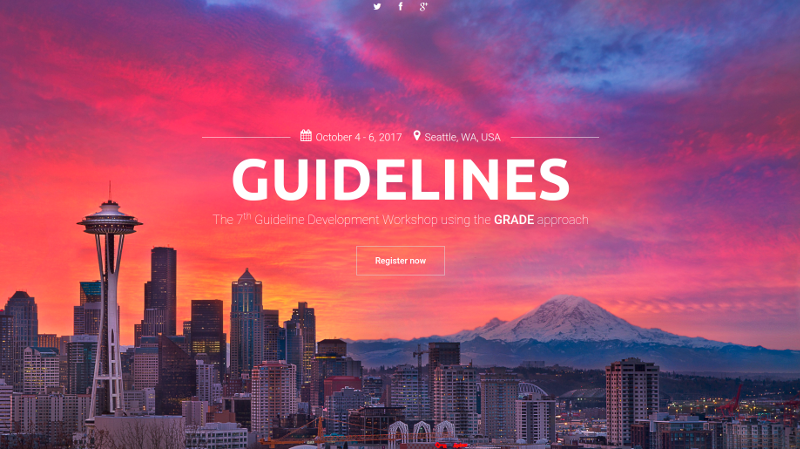 Visit the GRADE Working Group website for a complete listing of GRADE Working Group training and events: http://www.gradeworkinggroup.org/.